We started our business in response to the need for excellent quality automotive care done fast and at a fair price. We are a family business that specializes in making sure the customer comes first. Our Automotive Technicians have over 15 years experience and take pride in the work they perform. 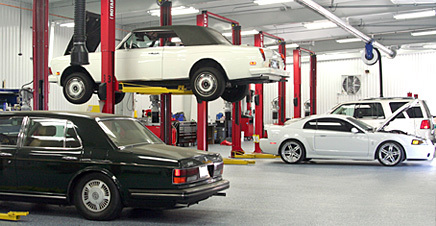 We provide quality automotive care in a modern, clean, state-of-the art facility. While you wait, relax in our waiting room where we provide magazines and television for your enjoyment. Please stop in and see us for all of your automotive needs.